Five Things Friday: Chair Decoration | Keeps Me Out Of Mischief! We’ve recently inherited a lot of furniture from my husband’s Nanna. It’s beautiful and just needs putting in a room to make it look stunning but sometimes you get given a piece of furniture that needs a bit of tender loving care. Here’s some inspiration for chair decorations. 1. This is the Year has this cute idea using Mod Podge. 2. One More Mushroom has this great idea for wrapping an Ikea table with yarn; there are too many identikit Ikea tables in this world! 3. 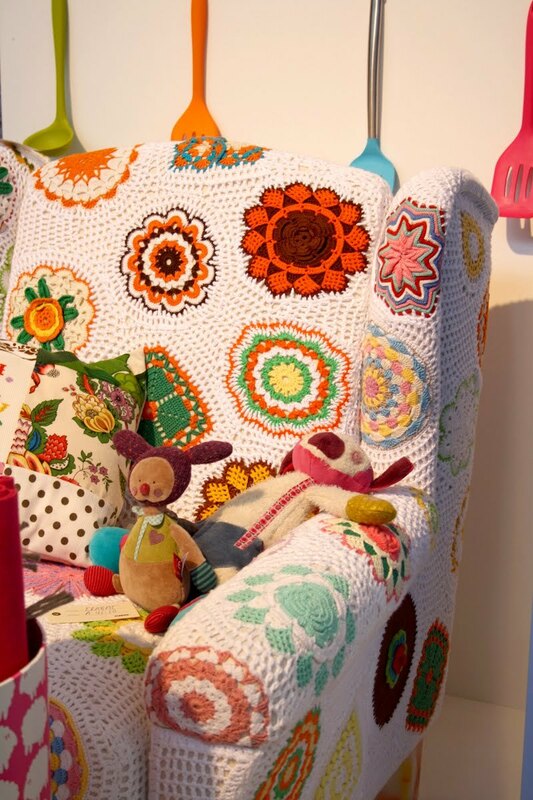 Sueswink features this crocheted chair cover. 4. Creativity In DIY has these sprayed lace chairs. 5. Insankitty featured this yarn bombed chair.